The Retention Excellence Awards are now accepting nominations until March 16, 2018. We know from our work in student satisfaction and motivation what is important to students throughout their academic lifecycle and the specific requests for support first-year students make. Have you localized these and other data to improve student life, learning and outcomes on your campus? Please share your program and your journey with others on the same path by applying for the 2018 Lee Noel and Randi Levitz Retention Excellence Award. Winning programs will be showcased at the Ruffalo Noel Levitz National Conference, in a national webinar, on our website, and used as a resource by colleges and universities across the nation to enhance their own efforts. Has your campus been able to address these student needs and interest in ways that improve student and institutional success? It is clear students value effective faculty and quality instruction, and that they want to bring strong study habits and exam skills into the classroom. Students also desire advising and information on majors, outcomes by major, type of employment, and salaries. If your campus has experienced progress in student success, retention and graduation rates, and career outcomes, I invite you to submit an application for the 2018 Lee Noel and Randi Levitz Retention Excellence Award. I hope you’ve taken advantage of the data and research we make available to support your efforts (see sampling of reports and resources below). We invite you to contribute to this body of information by nominating an effective retention program for the 2018 Lee Noel and Randi Levitz Retention Excellence Awards. 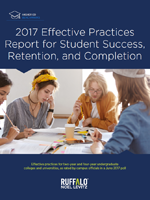 Over the years, more than 170 colleges and universities have been honored with Retention Excellence Awards, as you can read in this compendium. If you’re looking for new ideas to develop guided pathways, identify at-risk students and successful practices, or to create a comprehensive retention plan, take a moment to explore the retention programs that past winners have shared. Apply for the Retention Excellence Awards here. Applications are now being accepted and you will find the criteria for the awards online. The application is brief and is similar to submitting a proposal to present at a conference. Up to three winners will be recognized. The honor includes a free conference registration to the Ruffalo Noel Levitz National Conference being held in Orlando, July 24-26, 2018. Winners are featured in a national webinar hosted by Ruffalo Noel Levitz, and will serve as a judge in selecting the 2018 winners. Please take a minute and review the resources we make available to support your efforts. I encourage you to review the application and consider applying. The process is easy, and the rewards for your campus are many! Questions? Please contact me directly by email or call me at 800.876.1117. 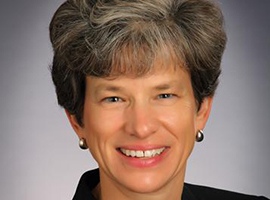 Ruffalo Noel Levitz publishes papers and reports on student retention throughout each year. Here are some of our recent publications. Reach Janene by e-mail at Janene.Panfil@RuffaloNL.com.